My sister, Anne Mavor is visiting from Portland, OR this week. 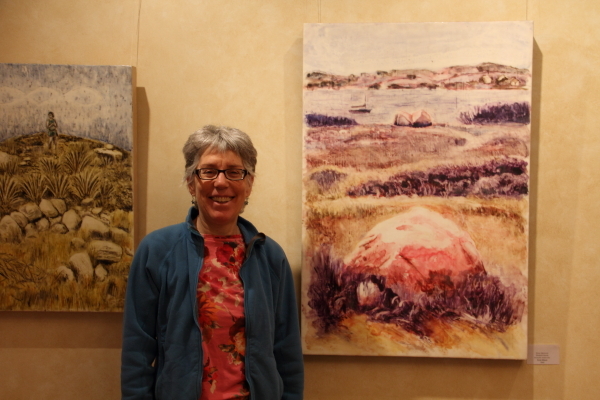 She’s having a show of her beautiful encaustic paintings at Highfield Hall in Falmouth, MA. 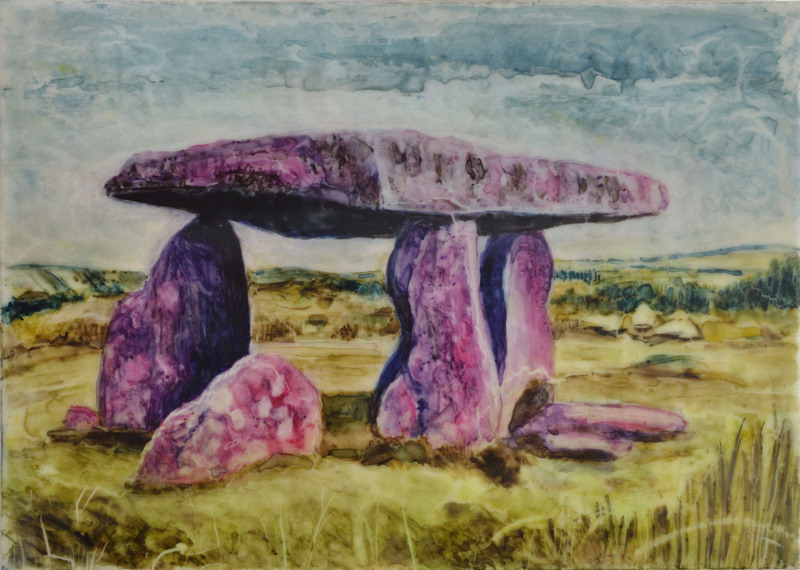 The exhibit, Ancient Landscapes: A Spirit of Place will be on display until July 6th. She will also be giving a talk about her work on Sunday, June 1 at 1:30 pm. And look at the banner out front! 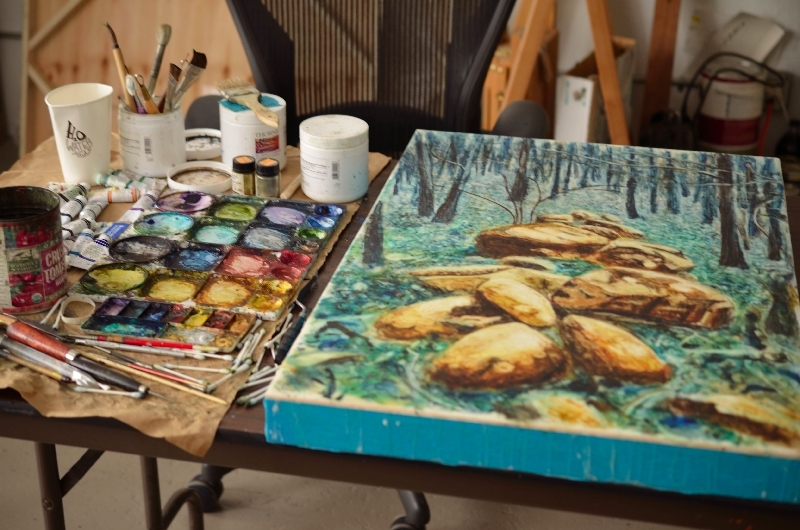 Anne uses watercolors on a wax-translucent wall medium base, which makes her paintings look very different from other encaustic work. You can read more about her technique here. 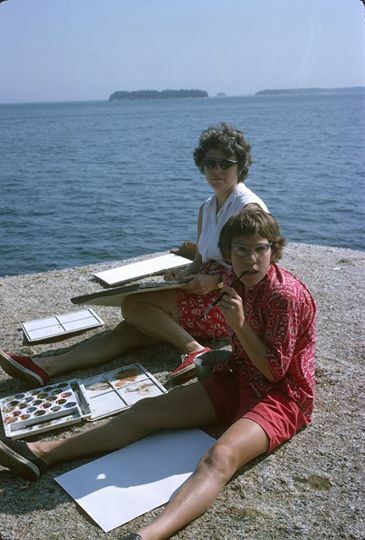 I love this photo of Anne painting with our Mom in Maine in 1962. This is such a typical scene. Mom was always creating artwork of all kinds. 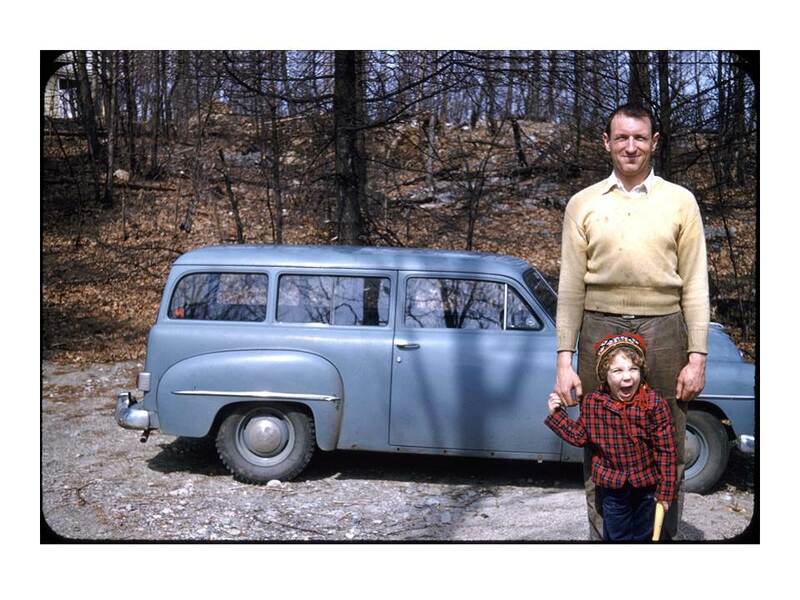 And this one of Anne with Dad in the mid 50’s. 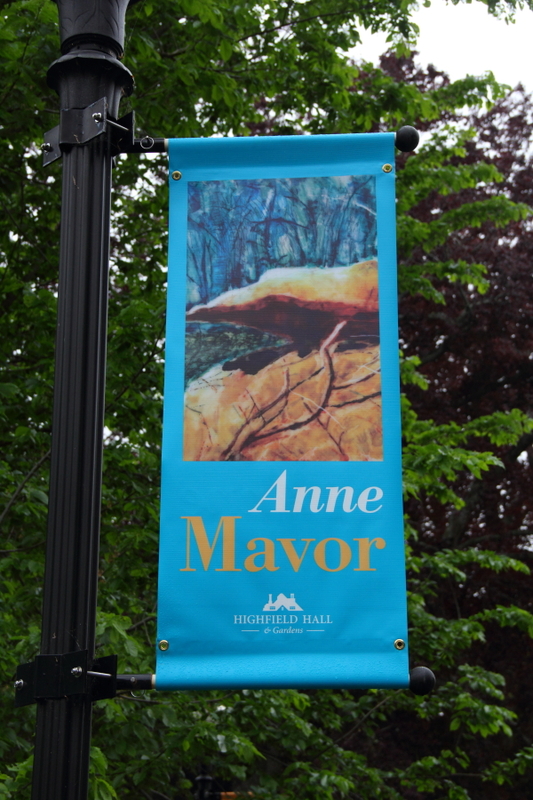 Anne’s paintings are of ancient sacred landscapes based on research photos taken by our father, James W. Mavor and herself. 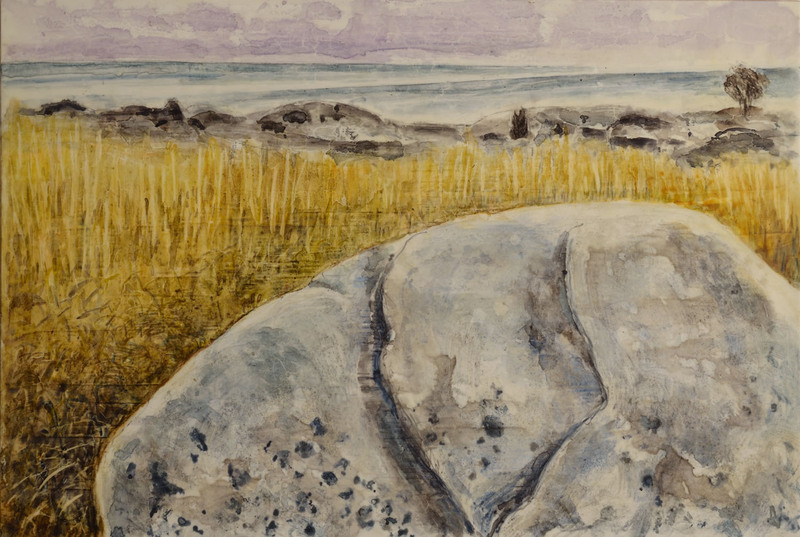 Several pieces in the exhibit at Highfield Hall are of local scenes from Falmouth and the Elizabeth Islands. I encourage you to go see this show–it’s stunning! She writes, “When I was 17, my family took a trip to the British Isles where we visited ancient stone and mounds built by Neolithic and Bronze age cultures 3,000-7,000 years ago. My father was enthralled with these sites and their spiritual and astronomical meanings. This interest became his full time passion for the next 40 years until his death in 2006. His book Manitou: The Sacred Landscape of New England’s Native Civilization, brings together those years of research. This entry was posted in Events, Family by Salley Mavor. Bookmark the permalink. wow. what a lovely family you come from. I really like the old photographs you posted. What of beautiful story, God gave your family the blessing of art. How wonderful to share on the computer. Like the comment before me, I wish I could see the show. Salley, thank you so much for this glimpse into the life of your talented family. I am originally from Yorkshire in the north of England and would love to visit this exhibition. How wonderful to have such a talented sister and I truly hope that the show has a great turnout.